Officers investigating the murder of 21-year-old Billy Livesley have charged another man. Jimmy Price, 22, of no fixed address, is due to appear before Wigan and Leigh Magistrates' Court on Wednesday charged with perverting the course of justice. 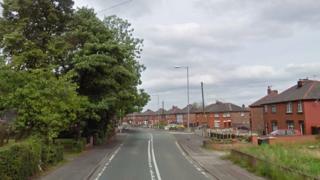 Mr Livesley, of Platt Bridge, suffered a head injury in Bickershaw Lane in Abram, Wigan on 28 December and died the following day. Two men have already been charged with his murder. In a tribute, Mr Livesley's mother Sylvia said her son was a "one in a million".